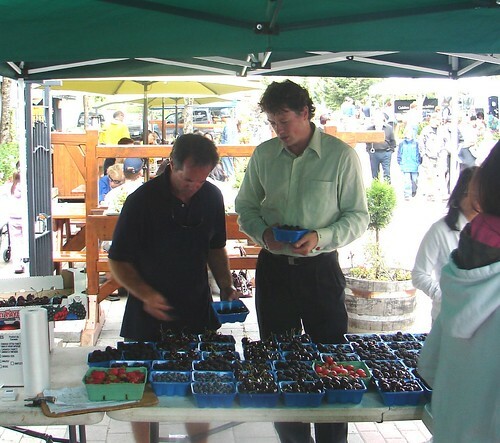 It’s time to welcome a new season of Farmer Markets across the country. Check out the markets in your area. The following Farmers Market Map shows all of the different locations across the country. In Omaha, The Omaha Farmers Market opens downtown tomorrow from 8.00am – 12.30pm and Sunday in the Aksarben Village from 9.00am – 1.00pm. Crafts and Barkery items. It is fun to see such variety and more important to see the passion that these local providers have for their products. I like to hear the stories of how they first stated their production and how it is a huge part of their current life. In addition, I like to hear the benefits of their products and how they have really grown in their knowledge of their own products. If you want to get a glimpse of what the atmosphere is like at the Omaha Farmers Market, check out the slide show on their site, it’s agreat way for you to get a picture of the people and different items that are marketed at this event. Where do you go for your local farmers market? What do you like best about it?